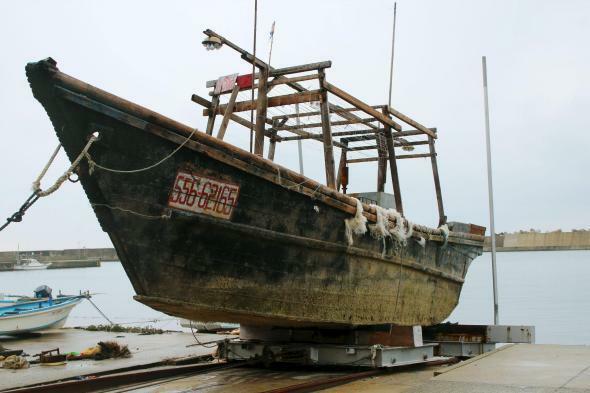 Japan "ghost boats," dead bodies: North Korea suspected origin. An unidentified wooden boat found in the sea off Japan’s Noto Peninsula in a photo from Nov. 29, 2015. 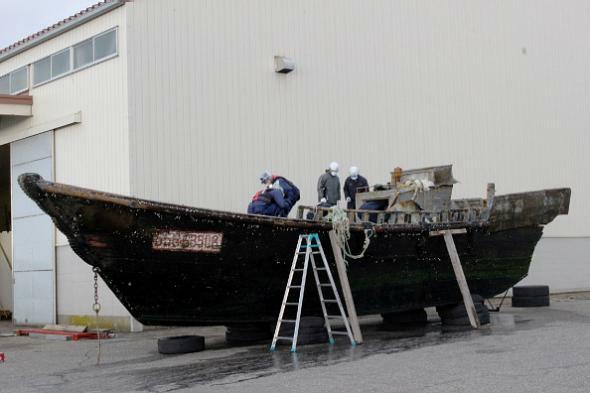 The Japanese coast guard and police reported 12 incidents of wrecked wooden boats, including some that were in pieces, on the country’s shores and waters since October, containing 22 dead bodies, including five skulls. Japanese authorities declined to comment on the origins of the boats or the possible identities of the dead, but a hand-written sign identified one boat as belonging to unit 325 of the North Korean army, according to footage from Japan’s NHK Television. Tattered cloth was found aboard the vessel that appeared to come from the North Korean flag, the video showed. North Korean leader Kim Jong-un is known to have put a “high priority” on fishing, the wire service says, which may involve sending out ill-equipped vessels that eventually drift to Japan after becoming lost, their crews dead of starvation and exposure.